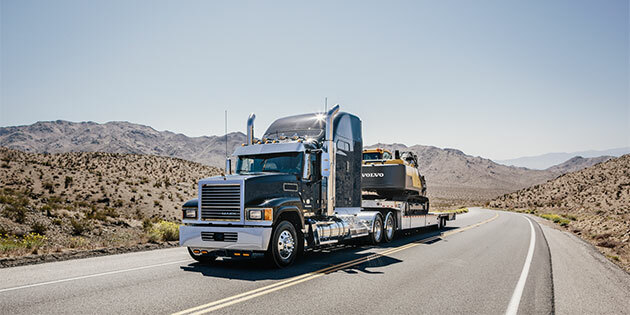 Whether you’re hauling a flatbed across the country or a gravel load across town, you have to trust that your truck will stop quickly and safely whenever you hit the brakes. While roughly 90 percent of today’s new trucks are spec’d with traditional brake drums, air disc brakes are gaining in popularity. And for good reason. That’s because disc brakes provide better overall stopping performance compared to drums, especially in heavy stop-and-go severe-service applications. Shorter stops – Research shows that fully loaded trucks equipped with disc brakes traveling at 60 mph can come to a complete stop in about 200 feet – 20 feet shorter than trucks with reduced stopping distance drum brakes. Better braking feel – Disc brakes provide more of a passenger-car feel than drums, giving drivers more control when stopping. Longer service life – Air brakes feature an “open” design, which allows air to flow over the pads and rotors. This cools the brake mechanism and can extend the life of a disc brake’s friction material up to twice as long as that found in drum brakes. Fewer maintenance concerns – Disc brakes are inherently self-adjusting and have no “stroke” to measure, so trucks are less likely to be marked as out-of-adjustment at roadside inspections. Plus, disc brakes have fewer moving parts than drums, minimizing the likelihood of repairs. Faster pad changes – On average, friction material can be changed in just 15 minutes per brake with disc brakes (once the wheel is removed), compared to the one hour per wheel it takes for drums. There is, however, one other factor to consider before upgrading to disc brakes with your next truck. Disc brakes cost on average $500-1,000 more per axle than drum brakes, which can give cost-conscious fleets pause. However, when you factor in the faster maintenance intervals and longer service life, disc brakes are a great alternative, especially if your ownership period is long. Mack now offers optional air disc brakes on its Mack® Pinnacle™, Granite®, TerraPro® and Titan by Mack models. To learn more about whether air disc brakes are the right fit for your new truck, contact your local Mack dealer.